I like to buy quality meat and stretch it with produce. 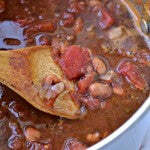 This chili has more than enough meat for our family but if you’d like you can increase the meat by 50 percent. 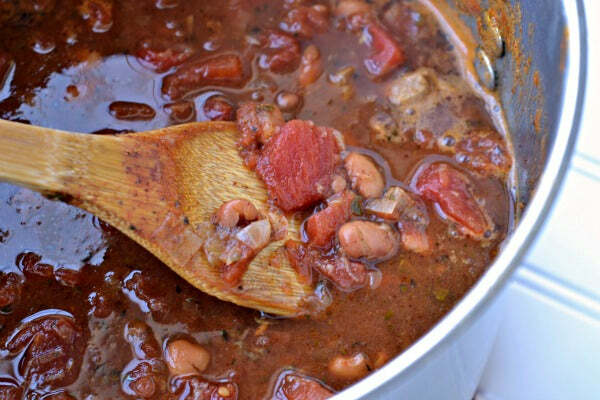 Make the heat of this stew perfect for your palate by using more or less chili powder. I know the recipe says that chips are optional but I personally find them necessary! 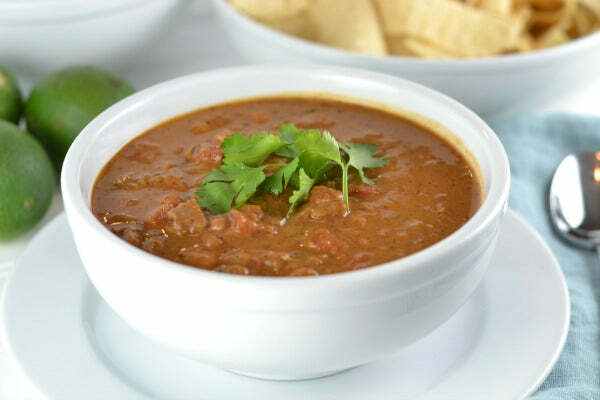 My favorite part of this thick chili is dipping a salty tortilla chip into it. 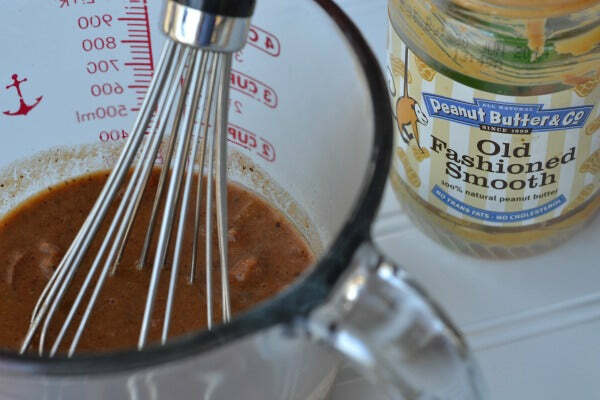 If you like lots of heat, try The Heat is On peanut butter instead of Old Fashioned Smooth. 1. Heat the olive oil in a large stock pot over medium heat. Add the onions and sauté for 5-8 minutes, until translucent. Add the garlic and sauté for another minute, until fragrant. 2. Add the beef and sea salt. Cook, stirring occasionally, until beef is brown on all sides. 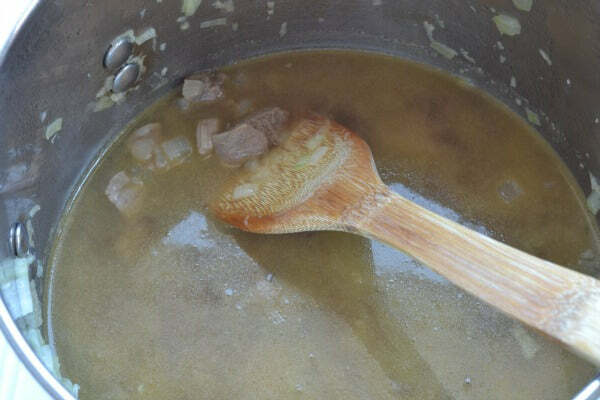 Add the beef stock, cover, and simmer for 1 to 1 1/2 hours, until the beef is tender. 3. 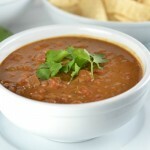 Stir in honey, tomato paste, chili powder, cumin, coriander, basil, oregano, ground pepper, tomatoes, and pinto beans. Heat through. 4. Ladle approximately 2 cups of the chili broth into a large measuring cup or bowl. 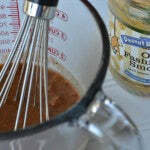 Add Old Fashioned Smooth peanut butter and whisk until combined. 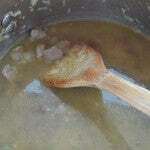 Add peanut butter mixture back to the chili pot and stir to combine. 5. 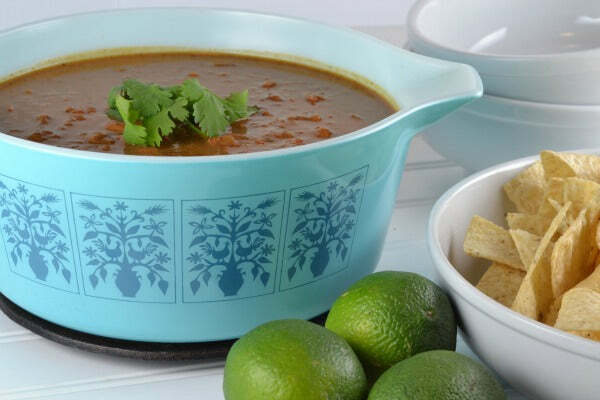 Serve hot with cilantro, lime wedges, and tortilla chips if desired. 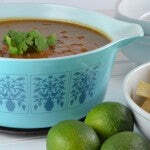 In this recipe Amy adds a peanut butter twist to the traditional Chili recipe. 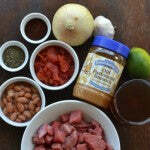 Which other ways can you use peanut butter in a spicy recipe? – The giveaway is open to USA residents only and will run until Monday, October 21 2013 at 11:59 PM EST. – Winner(s) will have until 10/24/13 to claim their prize or we will choose another winner. 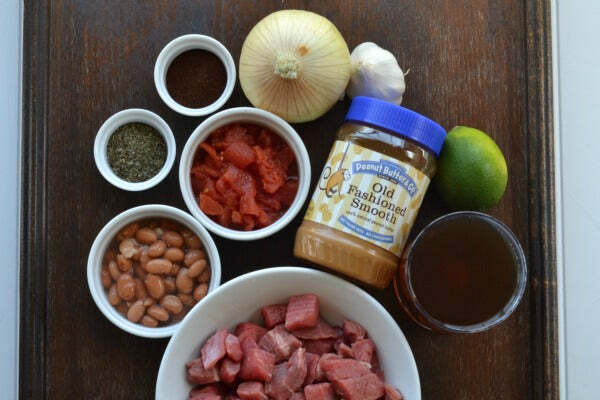 The post Spicy Beef Chili with Peanut Butter appeared first on - Peanut Butter & Co. Recipe Blog.